E-Commerce Development The most effective solution for expanding the customer base and achieving the biggest platform with a very small investment is E-Commerce. It is the most cost effective Ecommerce Development solution to provide the biggest market exposure to your business. Shopping online is growing rapidly across the world. Many emerging entrepreneurs have started and running e-commerce shops successfully. There are also several solutions for budding e-commerce vendors. Some of these help you get started with selling online within a matter of hours, while others might require months of development. Technological requirements for selling online, hence, is highly dependent of the type of business and the target audience. A solution that suits well for a multi-category e-commerce portal with a big product catalogue will be overkill for a small site with handful of products. We offer solution to those who would like to sell their products and services online. eCommerce Development is a field that requires an experience and a day to day operation in setting up the store. eFosys have a highly experienced team that will help you out in setting up the store and our technical maintenance team to help you if you face any problems in your day to day operation. They will help you out if you have any problems in handling frontend or backend or if you face any technical issues. 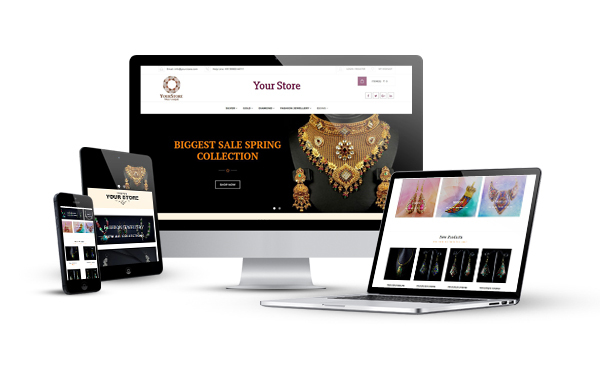 Our expert eCommerce Developers can deliver strong and flexible eCommerce Development solutions with clean code, pixel perfect design conversions and Responsive designs. We develop eCommerce Development Solutions that makes stock management a breeze while being making it user friendly. We provide you affordable eCommerce Development Services with tools which will help you to touch the peak of success. Our well-built and flexible eCommerce Development Services are offered worldwide.